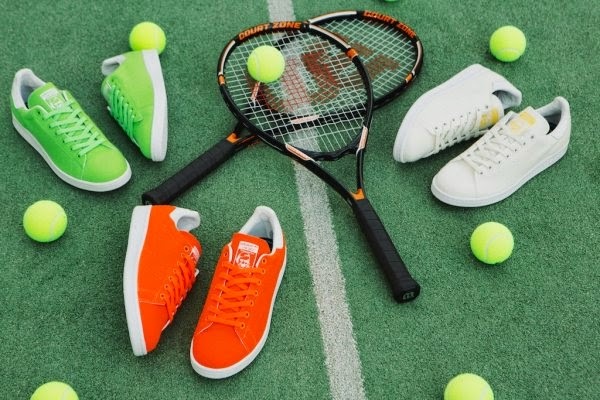 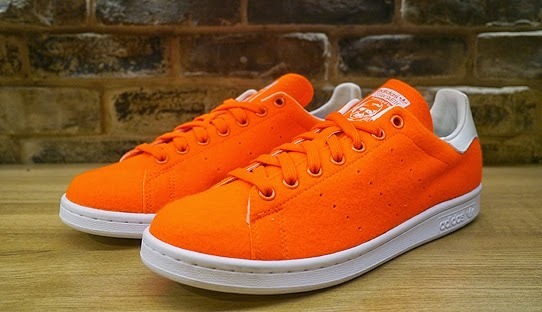 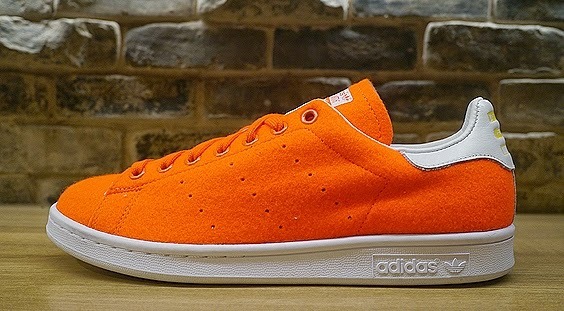 In collaboration with Pharrell Williams, adidas Originals present the 'Tennis' pack their second collection together. 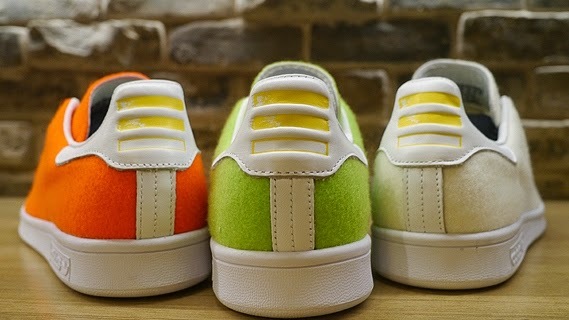 The pack contains a trio of colours each resembling a tennis ball theme. 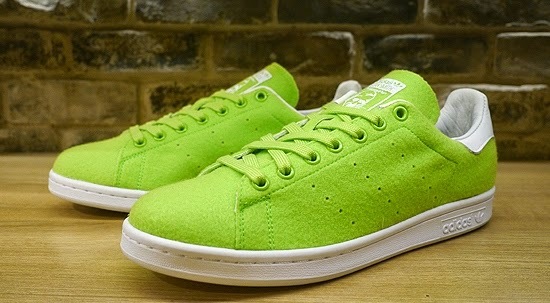 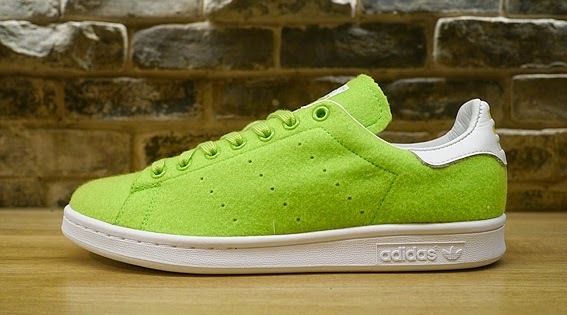 This colourway is presented in a fluorescent green felt upper to mimic the material of a tennis ball. 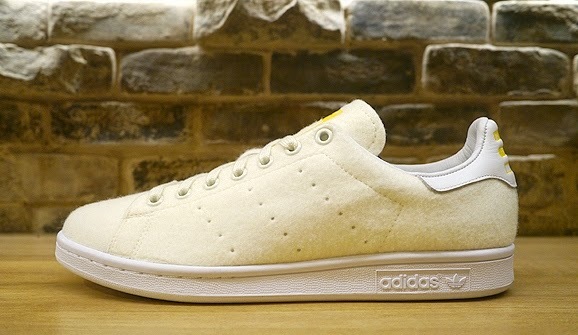 Featuring tonal metalic eyelets and laces, a contrast white leather heel panel and inner lining. 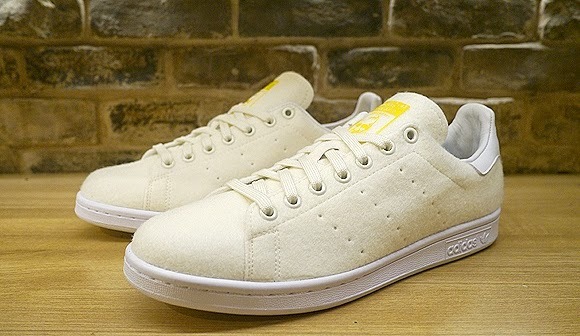 This silhouette is finished with a colourful insole and clean white midsole with embossed branding.